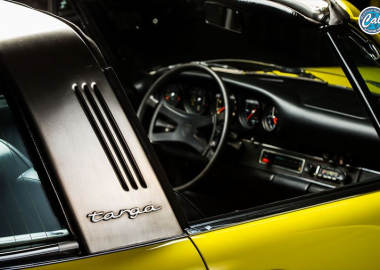 The Volkswagen Karmann Ghia is a sports car built on the Type 1 base. The project got its start when VW teamed up with Karmann, a German company that had made its name building coaches. Luigi Segre, who belonged to famed Italian car design company Carrozzeria Ghia, was in charge of its styling. The prototype debuted at the 1953 Paris Auto Show as the Type 14. The basis of the design was the flowing body line of the 1953 Chrysler D’Elegance coupe. Unlike the Type 1, with its detachable fenders, hand welding on the Type 14 produced a smooth shape worthy of a high-end model. The Type 14 produced in Germany (the 1200cc coupe) was well-received, selling 10,000 units in its first year 1955. A cabriolet version was introduced in 1957, and in a 1959 revamp, the position of the headlights as well as the shape of the front grill and tail lights were all changed. 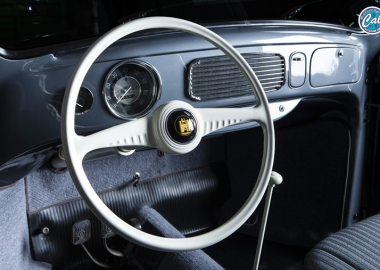 As a result, early models (those produced until 1959) were called “low lights”, or “square tails”, nicknames that expressed the rich curvilinear beauty of the vintage Karmann Ghia. 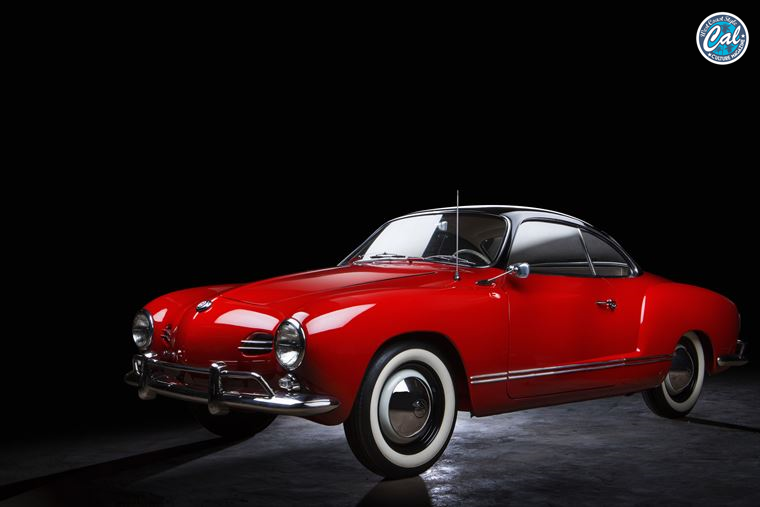 Karmann Ghias produced from 1955 through 1958 are considered early models. The vehicle introduced here was produced on Dec. 19, 1958, so it is among the last of the early models. It is a North American model with proof of production and a proper pedigree. 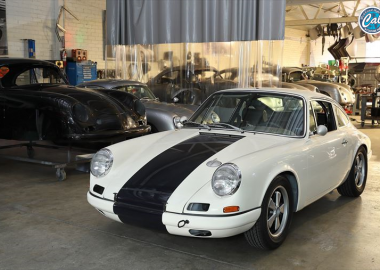 According to the certificate, its finer North American specs include a speedometer in miles per hour, sealed-beam headlights, laminated windshield, floor protectors, and 6-volt U.S. wiring. 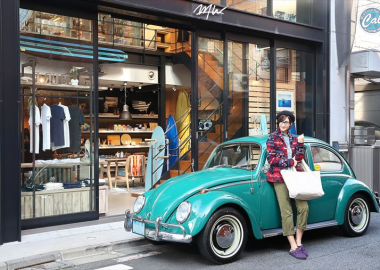 It also features a redesigned VW emblem seen only in 1958 models, a further indication of its authenticity. This vehicle underwent a thorough restoration in America, was repainted using official colors in a combination of brilliant red and black. West Coast Classics redid the interior. The steering wheel was refinished by the famous Kouch’s, completing a car that looks like it did when it was brand new. The hopped-up engine with Okrasa parts increased its horse power 25%, from 36hp to 45hp, so there is no feeling of a lack of power. This is a priceless early-model Karmann Ghia restored with both body quality and drivability in mind. We can easily recommend this for someone looking for a final car.